Below is an email correspondence between Dena Evans, owner of PGC Basketball, and a PGC grad who she corresponds with through the year. As many players (and parents) have these types of concerns during a season, we thought Dena’s response will benefit everyone in our PGC community. Coaches, we recommend you share this with your entire team in order to pro-actively address this common issue. Just getting home from my game and I didn’t play very much. The last game I won the game for us and today I didn’t play much…kind of frustrating because I really feel like I could’ve helped us out tonight. It just doesn’t make much sense to me. A friend has been assisting me through this difficult season and has recommended I look into transferring in the next year or two. I’m not the type of person who runs from challenges when times get tough. But, this year just hasn’t been what I thought it would be. It’s still pretty early in the season, so I’m just doing my best to turn it around. I feel like I’ve made an impact on my team, but my coach seems to think otherwise. In my opinion, I’m doing everything I am supposed to do, and much more. So, it’s kind of like my coach is telling me one thing, but then doing another. I know I’m going to go through unfair situations in my career, and I think this is probably one of them. It’s December 8th. 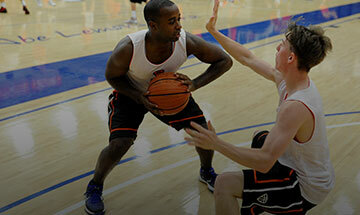 Basketball season is a marathon, not a sprint. Stop thinking about next year or about transferring. Focus only on the things you can control. Know that every real athlete who is worth their salt has been through adversities, doubts, frustrations, and unfairness (often in their freshman or sophomore years, in particular). It’s December 8th. Stop letting every thought and doubt on the surface of your mind lead you down a hole. Stop analyzing every little decision your coach makes. Remember why you play. Remember what you love about it. Remember the things you can control and let go of all the things you can’t. Have a short memory. Let stuff go. Have as much fun as possible. Touch as many people as possible in a positive way. It’s December 8th. A whole lot of opportunities, disappointments, ups and downs will come your way before the season is over. You’ll miss it all if you keep worrying about the little things. Don’t major in minor things. Focus on the stuff that matters…your attitude, effort, love of the game, your teammates, doing your best every day, learning every day, staying in the moment, making a fan’s day, being a positive influence on some little kid who looks up to you. Did I mention that it’s only December 8th? Stay focused on what matters and what you can control, or you’ll miss the best parts of the season — a season you’ll get only one chance to experience. Next play, next game, next opportunity. What matters is NOT what your coach does, but how you respond to it.